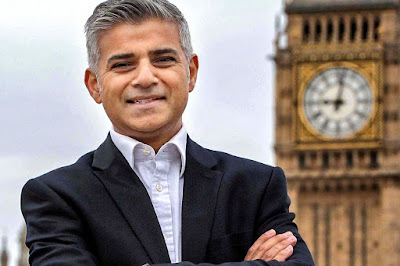 British Conservative candidate for London mayor, Zac Goldsmith – who received British Premier David Cameron’s support for wooing Gujarati and Punjabi settlers in the city by invoking Prime Minister Narendra Modi’s name – has faced a crushing defeat from his Labour rival Sadiq Khan, who happens to be a Muslim settler from Pakistan. Ahead of the elections, fears were being expressed that the Britain premier was seeking to follow US Republican presidential aspirant Donald Trump in seeking to whip up anti-Muslim sentiment. Cameron believed Goldsmith was the “only sensible choice” for the city's south Asian communities, particularly Gujarati Hindus and Punjabi Sikhs, when there was an alleged need to be keep “streets safe from terrorist attacks”. This led to Khan’s team accusing Cameron and Goldsmith of indulging in “divisive racial profiling”. The implicit attack was on the Labour candidate, who did not attend the event to welcome Modi, who has been accused by Labour leaders of dividing opinion. This was because, “until 2012, Modi was barred from entering the UK over allegations that in 2002, when he was chief minister of Gujarat state, he failed to stop anti-Muslim riots in which 1,000 people died”, “The Guardian”, reporting on bitter electioneering, wrote. A multi-millionaire, Goldsmith also wrote a letter to the Gujarati community, where he said, “Sadiq Khan won’t stand up for the London’s Gujarati community.” Reason, he insisted, was that Khan supported Jeremy Corbyn as leader of the Labour Party, who wanted to ban Prime Minister Modi from visiting the UK. Khan did not attend the ‘UK Welcomes Modi’ event at Wembley Stadium last year, either. 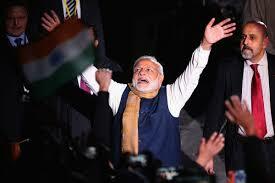 “I am not from Gujarat. I am not a Hindu, my husband’s family are lapsed Muslims. Above all, I have never been, nor ever would be, a Tory voter”, Patel said, adding, she was of Jewish descent and “the most distasteful aspect” of Cameron's letter was “attempting to cause division between the London Hindu Indian community and its Muslim community”.